Every great passion starts close to home. 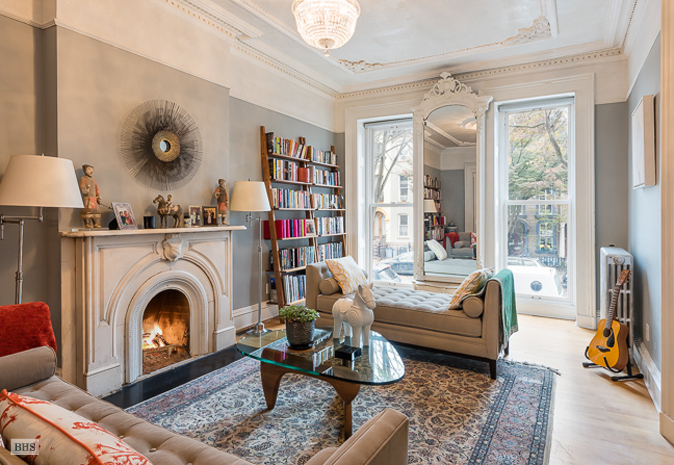 In 2008 my husband and I bought a 19th-century row house in Brooklyn from an aspiring real estate mogul. It was barely within our means, and had been gut renovated and re-outfitted top to bottom with drab, low-budget rental fixtures and decor. We needed to turn three floors of living space into a comfortable home on a shoestring budget in a New York minute. Looking back, it was an invaluable lesson on making most of what you've got. We bought old furniture at garage sales and stripped and restored them in our backyard. I spent part of the third trimester of my pregnancy on top of a ladder, painting the 12-foot ceiling in our living room. We searched high and low for the perfect dining table, the perfect bed, the perfect sofa. At the end of it, we had a home we loved. I would do it again in a heartbeat.